The annual State of Marketing Data 2014 report reveals shocking results about the health of B2B marketing databases across companies of all sizes and industries. It provides a detailed snapshot of where B2B marketing sits today with regard to data hygiene, accuracy, and completeness. Caution—what you learn may surprise you! 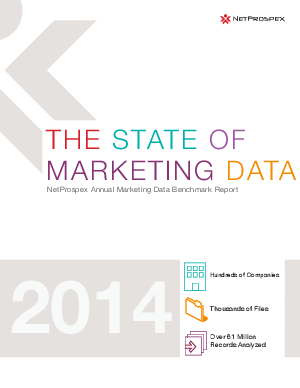 The annual State of Marketing Data 2014 report reveals shocking results about the health of B2B marketing databases across companies of all sizes and industries.